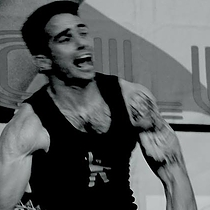 Jason is a competitive Kettlebell lifter and one of the elite Kettlebell instructors in the US. He has taught Kettlebell in the US and Europe and is one of only two assistant IKFF instuctors licensed to certify. Jason serves as an (IMT), Integrated Movement Therapist & Strength Coach at LA Sports Performance Care and is located in Manhattan Beach, CA. With a diverse athletic background, including martial arts, football, rock climbing and backpacking, Jason has had experience with many fitness tools and conditioning modalities, but feels that the kettlebell and the traditional Indian clubs are among the best. As a personal trainer and competitive kettlebell lifter, Jason feels that the Indian clubs are great for upper extremity mobilization before and after training, and says that the kettlebell builds injury resistance, true endurance strength, core strength, and cardiovascular conditioning all at once. Aside from improving the health and wellness of the general public, Jason is currently bettering the mobility, conditioning, and athletic performance of firefighters, football players, kettlebell lifters, and MMA fighters. Jason states that "We were never designed to sit all day, whether at the computer, on the couch, in the car, or on a fitness machine! We were designed to move!"